The super-sized Acrylic Grinder XXL with a diameter of 90mm is so large, that it can supply your entire party with ground herbs in one go. As if that’s not cool enough, it’s 100% transparent, so you can watch the grinding action taking place, which is even cooler. Last but not least, it has steel pins for its teeth, so it can grind even tough pieces easily. Get the party going with our super-sized Acrylic Grinder XXL! 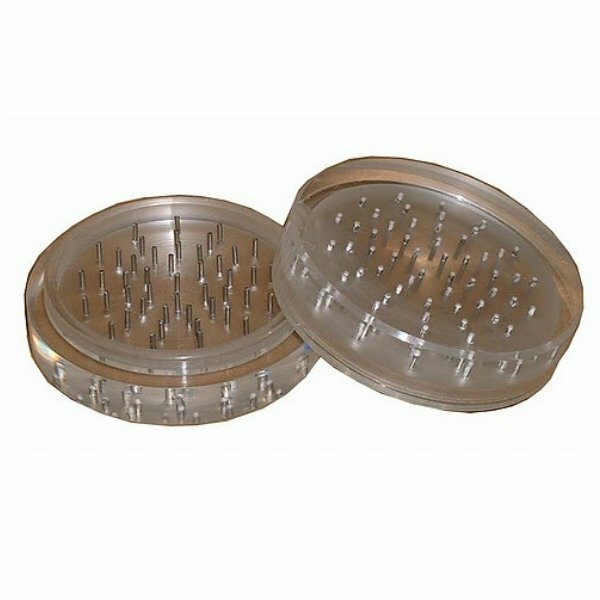 This bad boy of an acrylic grinder with a diameter of 90mm can grind enough herbs to make your next church meeting a true blast for everyone! But the coolest part of this grinder isn’t just the impressive size and how much weed it can take. This badass grinder is 100% see-through, which means you can see all the action going on when you go at it, which, let’s be honest, is really extremely awesome to watch. Secondly, this is not just some average, monster-sized 100% transparent acrylic grinder, even if that is already pretty rad if you think about it. 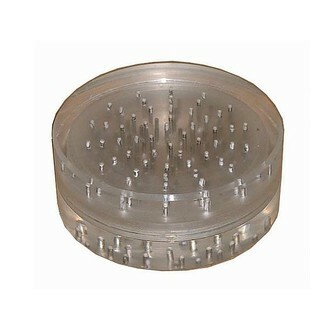 Unlike most other acrylic grinders, this one has small metal pins for its teeth, which means it does a really great job and can grind even tough pieces!